Our new product for Renderosity is a very versatile body jewel with many possible appearances for the chains and jewels, to give your characters the original and unique touch you need. A must-have! The most sensual accessory to beautify your characters' ankles! 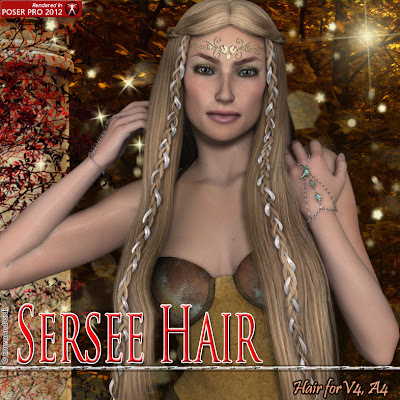 Our latest hair is a Prime product for V4 and A4: Sersee Hair. The classic look of the Reinassance with cloth in the braids, and the seductive touch of fantasy. It's 30% off till 18th, and it's only $3.5 for Prime members! It is also a team release with vyktohria and Wolfie. 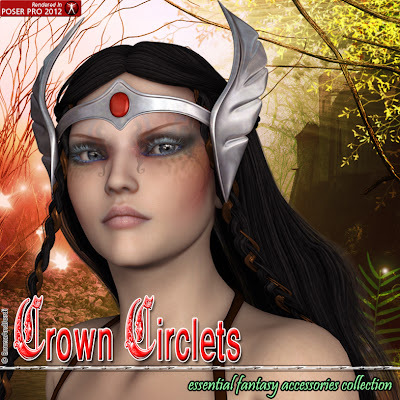 Our new product at Renderosity: Hand Jewelry for Poser and DAZ Studio. The hands, one of the most beautiful parts of the body, can now shine with hand jewelry. A very versatile body jewel with many possible appearances for the chains and jewels, to give your characters the original and unique touch you need. A must-have! And they're 30%off till 11th!! More info and features here: Hand Jewelry for Poser and DAZ Studio.